"The terrorism laws must be independently reviewed to restore public confidence," Lawyer Rob Stary. 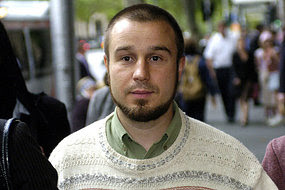 Thomas was found not guilty in the Victorian Supreme Court of receiving funds from [US Demon] al-Qaeda, but was found guilty of possessing a falsified passport. He was released on bail and will appear in court next Wednesday for a pre-sentence hearing. Lawyer Rob Stary says there was never enough evidence to convict Thomas on terrorism offences and an inquiry is needed to see who was pushing the case and how much it cost. "The terrorism laws must be independently reviewed to restore public confidence."